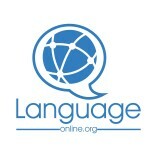 The best platforms for learning languages ​​online from the comfort of your home. The best thing is that the courses are personalized and you can do a test before taking it. The best of the network! Sehr netter Lehrer, sehr zuverlässig und sehr gute Preise. Dank ihm hab ich meinen Deutsch B2 Test bestanden. Vielen Dank!!! I had a great experience using language-online, the services they offer are very dynamic, helpful, easy to understand and most of all fun to learn, I highly recommend it! Sehr gute Leistungen und sehr zuverlässiger Lehrer.